This is a rare lamp. 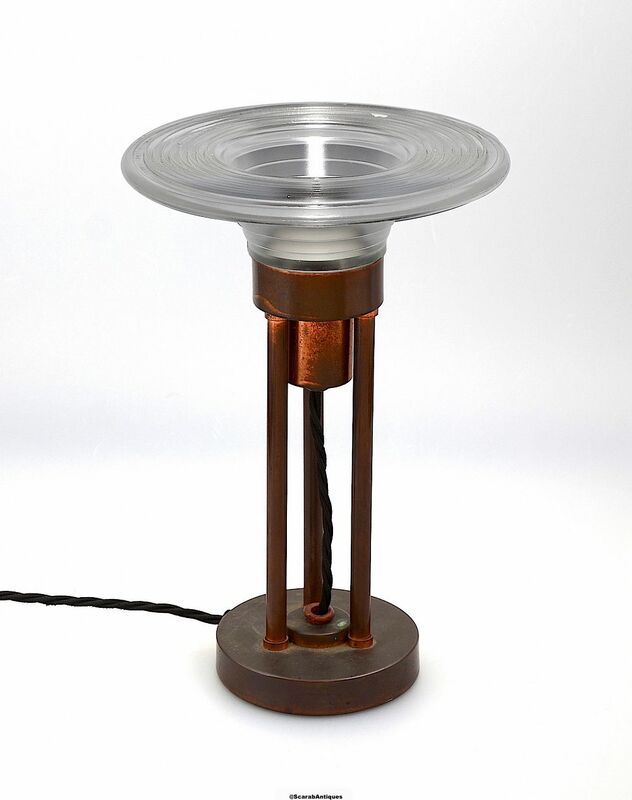 Made by the French company Claude Paz & Silva it has a round coppered base from which rise 3 round coppered columns that support a ribbed glass uplighter shade. The glass is signed "Claude Paz et Silva" and the base has an oblong silver & black label signed "Claude Lumiere". this was made in the late 1930s. Professionally rewired and with current PAT test.